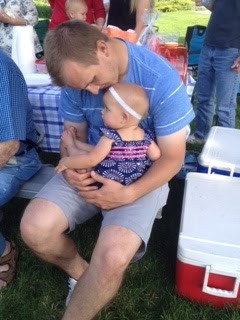 One of my favorite pictures from Father's Day weekend! 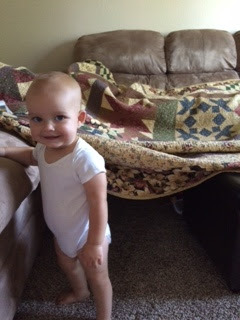 Pretty proud of her fort - seriously, that grin kills me! 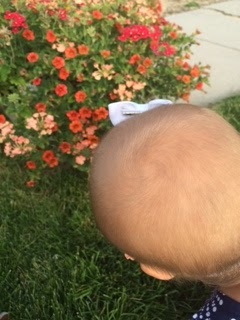 That little bald head is my favorite! 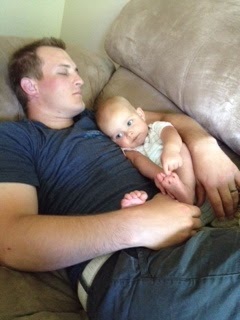 Sunday morning, we rolled out of bed, hustled to get ready for 9:00am church. Matt was teaching a lesson that day, so that kept us pretty busy. 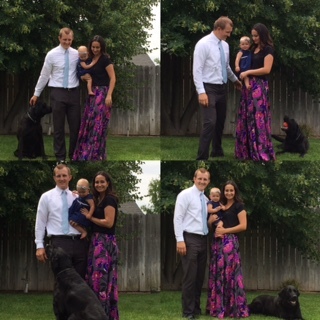 Kess was all over the place by 3rd hour - so we were ready to go home and take a nap ;) We did, however sneak in some family pictures before nap time - these might be my favorite! Matt got to open his gift and then we relaxed until we went to my parents' house for a little BBQ. We got to stuff our faces with delicious food and chat until it was Kess' bedtime. It was a relaxed, mellow day - I think we all needed it! 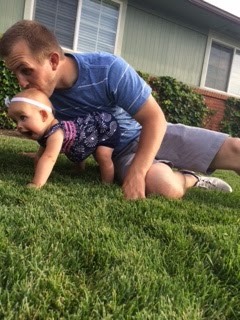 Honey, I have loved watching you become a dad! I always knew you would be great, but I didn't understand how amazing you would be at it! Kess loves you more than anything; she lights when she sees you! I am eternally grateful to be spending forever with you.